I fell in love with yoga because of savasana. This may sound strange (or lazy…?) 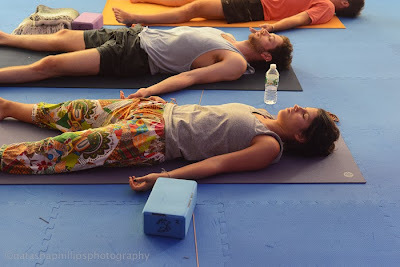 to many people who practice yoga to improve physical strength and flexibility, because savasana involves simply lying on the mat for 10-15 minutes and relaxing. But it was exactly there, in my first savasana, that I started feeling that yoga was truly “working” for me. I could feel my busy mind finally getting less noisy, and I started being receptive tothe present moment. The majority of us are very busy and distracted by our daily duties, worries and little desires, without having the chance and time to stop and try to understand our true nature and what really lies within us. We identify with our ever-changing bodies and minds and with our egoistic constructs of ourselves that make us feel efficient and safe in the environment that we live in. We are constantly projecting ourselves in the future or getting caught up within the past. But how do we go beyond that? How do we reach our essence and improve our understanding of our surroundings and of our purpose in life? For me, the answer lies in the practice of Yoga. The Asana practice is only an introduction to what yoga can offer in terms of self-knowledge and self-development. Slowly, with my constant practice, I started being able to lose my body sensations and quiet my mind during relaxation and meditation, and to go beyond the regular frame of body and mind. This gave me a completely new perception of myself, with more subtle levels of existence and the awareness that there is certainly much more beyond my ego and its little wishes and concerns. 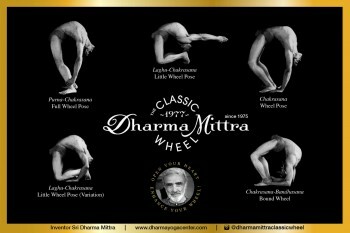 Within my six-year yoga practice, I think that my first class of Yoga Nidra with Sri Dharma Mittra was one of the biggest milestones. Sri Dharma Mittra likes to say that, “relaxation is the best antidote for all impurities”. Once after savasana in his regular asana class, he suggested we come to Yoga Nidra, in which you lie down in savasana and relax for an hour. 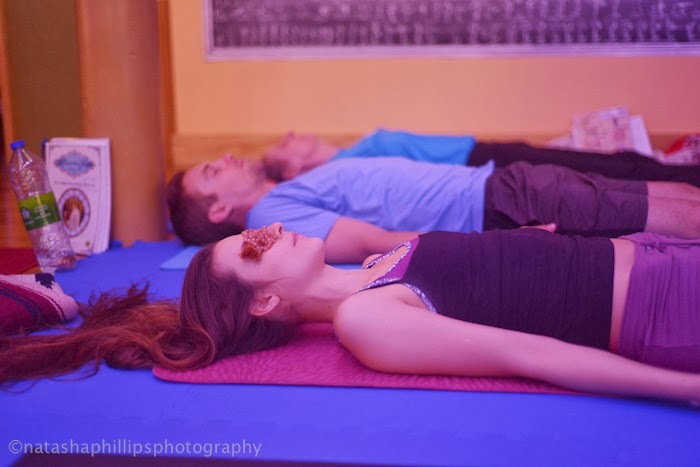 As a long-time savasana lover, I thought, “Oh, that would be really nice,” and I decided to check out this class, expecting it to be, literally, a long, one-hour savasana. I went to class. We were instructed to lie down in savasana, not to move or fall asleep, and to stay attentive throughout the practice while listening to the instructions. It turned out that Yoga Nidra is an active meditation. Sri Dharma first guided us to bring the awareness to each part of the body, slowly starting from the left hand thumb and then moving through all the limbs, ending with the individual facial features and back of the head. This was followed by the stage in which we were asked to evoke the experiences of opposite sensations and feelings, such as sensations of extreme hot and cold, and very busy and quiet environments, briefly, one after another. We were then asked to visualize some images and landscapes and were led through an enjoyable imaginary journey. 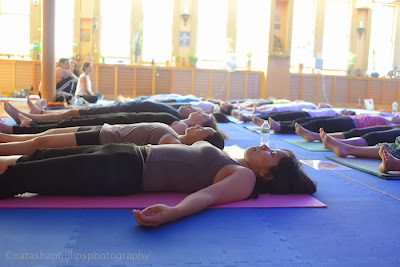 I wondered what exactly happened in that hour of Yoga Nidra (a.k.a. 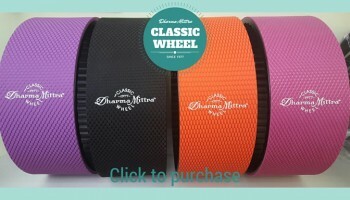 Psychic Sleep) which Sri Dharma said could substitute for several hours of ordinary sleep. As a scientist (that’s my profession), I started reading articles and books to better understand with my mind what happened beyond my body, and beyond my “regular” mind in that class. 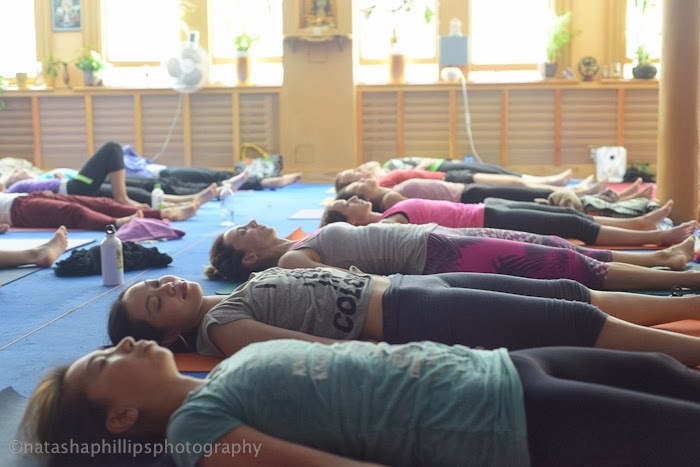 Briefly, this is what literature says: Yoga Nidra is a method of inducing deep physical, mental, and emotional relaxation in which the body is in a sleep-like state somewhere between being awake and being asleep. Unlike regular sleep, the consciousness is maintained in Yoga Nidra. And, unlike the fully awakened state in which only the intellectual mind is operating, when you are able to completely relax in Yoga Nidra, the subconscious and unconscious levels of the mind open, allowing the penetration into the depths of the mind that are not normally available. For instance, rotation of consciousness through different body parts induces physical relaxation while evoking the opposite, intense feelings in Yoga Nidra enables emotional relaxation. The visualization stage of Yoga Nidra, which usually involves images that have universal significance and powerful associations, brings the hidden contents of the deep unconscious into the conscious mind. The practice of visualization develops self-awareness and induces deep mental relaxation. This practice also sets the mind into a peaceful and calm state that makes the unconscious mind very receptive to positive thoughts and suggestions, and this is why the practice ends with the resolve to increase will power (or any other resolution that the practitioner would like to achieve through practice). Please do not mistake this for hypnosis because the resolve in Yoga Nidra is made by practitioner, who is aware of it, and the teacher is there only to guide the practice. During practice of Yoga Nidra, one’s consciousness travels from one layer to another, according to its current state and capacity. In some cases, the practice will bring only some sort of relaxation, sleep, or pleasant experience. Sometimes it may go very deep and bring fantastic experiences. The ultimate outcome of Yoga Nidra, similar to meditation, is total harmony and integration between all levels of consciousness and merging with the universal consciousness or achieving the highest level of consciousness, known as samadhi. Marija Kundakovichas a Ph.D. in Biochemistry and Molecular Genetics from the University of Illinois at Chicago, and is currently a Research Scientist and Lecturer in the Department of Psychology at Columbia University in NYC. She is an epigeneticist studying how life experiences leave an imprint on our genes shaping the brain and behavior throughout life. In addition to her scientific quest, her yogic path has been essential for her self-inquiry and search for understanding of life. She is thankful to all yoga teachers that have left the imprints on her yoga practice, including the teachers from Chicago Yoga Center, Mandiram Yoga Barcelona, and Jivamukti Yoga NYC. She is particularly thankful to Sri Dharma Mittra and the teachers at Dharma Yoga New York Center. 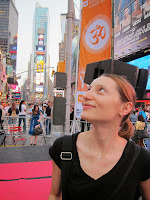 Marija completed the Dharma Yoga “Life of a Yogi” Teacher Training under the guidance of Sri Dharma Mittra in June 2013. She is currently in the last stages of her internship and looks forward to sharing her knowledge of yoga with others.